1. If you’re going to monetize your music video (make it available for sale/download), you should consider getting an ISRC for it. Yes, videos can (and should) have an ISRC. This ISRC is separate from the ISRC of the track being performed in the video. 2. You’d be surprised to know this, but music videos still earn significant reach on broadcast and OTT (over the top) platforms. Check out YANGAROO DMDS for pitching to MTV, MTV U, BET, NuVo, CMT, and more. Your video needs to be broadcast quality WITH closed captions. 3. There are many websites where you can monetize and set permissions for your music videos, including social media and discovery sites like DailyMotion. Check out Vydia for managing the distribution of your videos across your socials. 5. Audiam will help you collect composition side “sync royalties” from YouTube. In doing so, they also claim to unlock “performance royalties” paid to you by your PRO. 6. 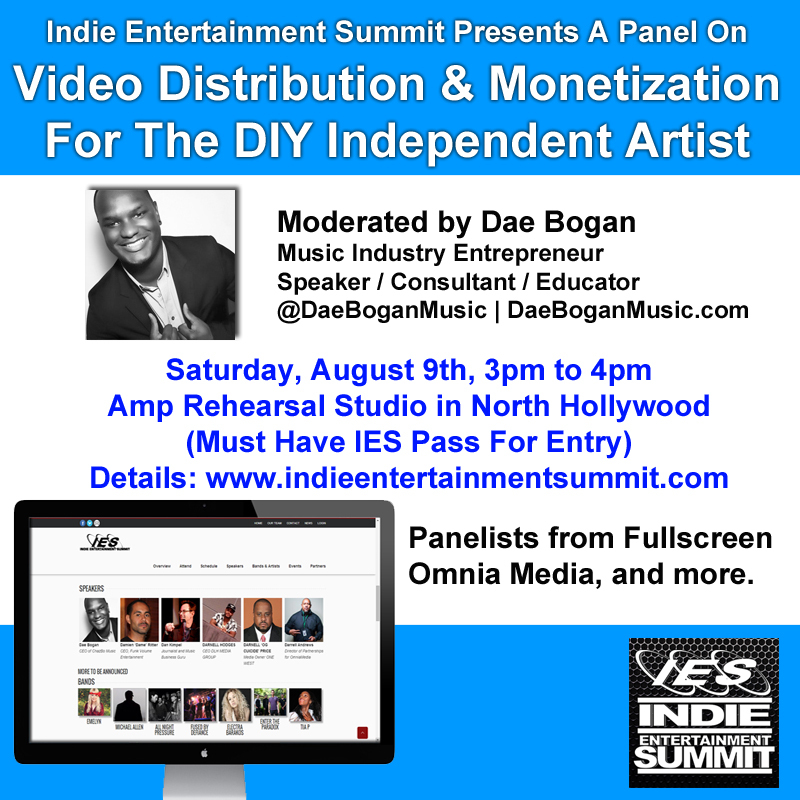 Pitch your music videos for plays in retail stores. 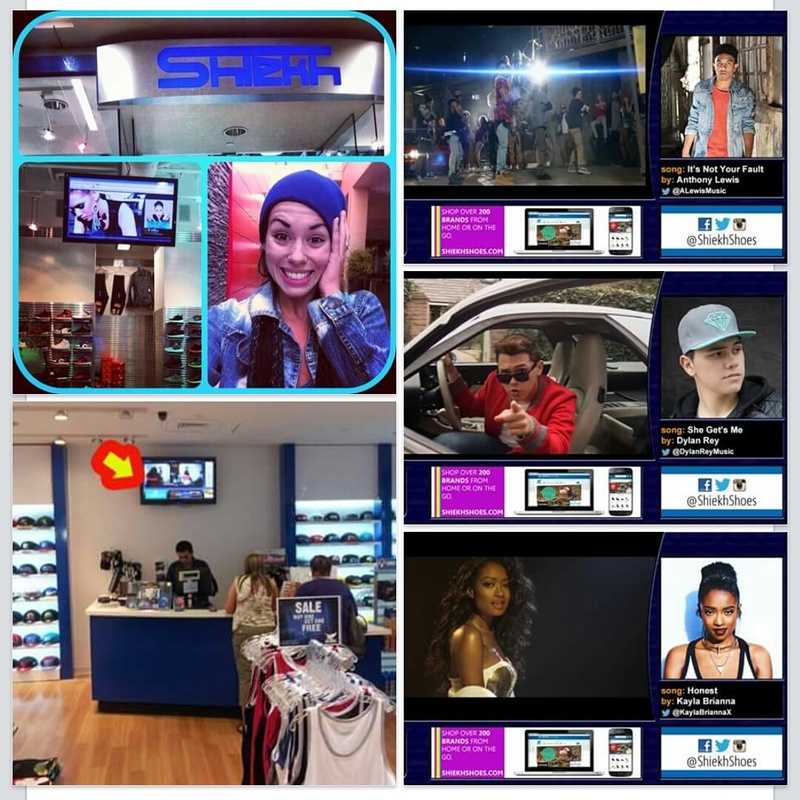 Mood Media, PlayNetwork, Inc., Shoplifter In-Store Radio Promotion, and several others can help get your music video playing inside retail shops and malls reaching millions of shoppers. I own Maven Promo, so you can always consider pitching to my small network of 130 retail stores. 7. Sometimes bands can’t afford a full production music video. Lyric videos are great promotional tools as an alternative to nothing at all. I actually place lyric videos on my network often. Here are some great resources to have lyric videos made. 8. If your song is explicit, make sure that you have a clean cut version of the music video. Don’t wait until you land an opportunity for placement or a feature to get it done. Your editor may not be available to cut the clean version in a timely manner. I deal with this every month. 9. The three copyrights associated with a music video: 1.) the copyright in the composition (requires a grant of synchronization right), 2.) the copyright in the sound recording (requires a master use right), and 3.) the copyright in the motion picture itself. 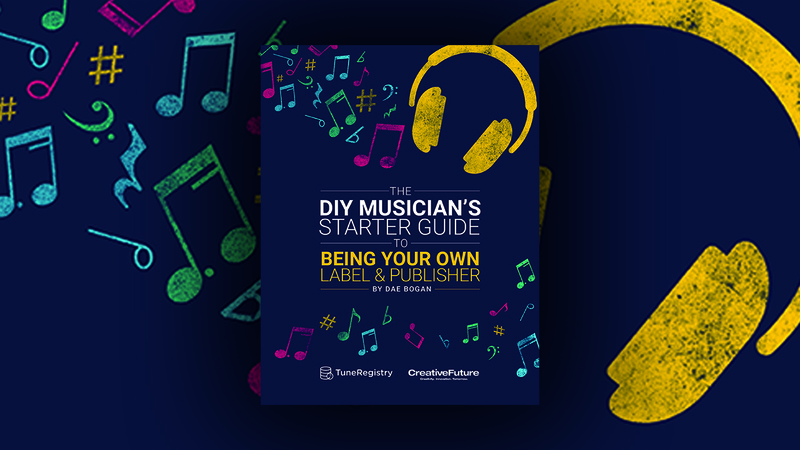 If your artist doesn’t own and control all three copyrights, make sure to have paperwork drawn up with whomever owns and controls a particular copyright granting the artist the rights, before distributing. 10. I don’t have a 10th thought, but it would be weird to end at 9. YouTube Content ID and the MCN (multi-channel network) model has become a booming business for many in the music industry. For many years now, independent artists have looked to MCNs to help them increase and capture the revenues generated against their music on YouTube. Not only does independent artists earn revenue from ads served in and around the videos they upload to their own YouTube channel, but also when ads are served against videos uploaded by other users who use the artist’s music (such as background music for a silly video). INDEPENDENT ARTISTS: We are currently accepting music submissions for the in-store music video network broadcasting in over 130 teen retail stores across the United States for the month of July. Discounts available for early-bird submissions. Must be CLEAN music videos, lyric videos, or artwork videos (still image + background music). 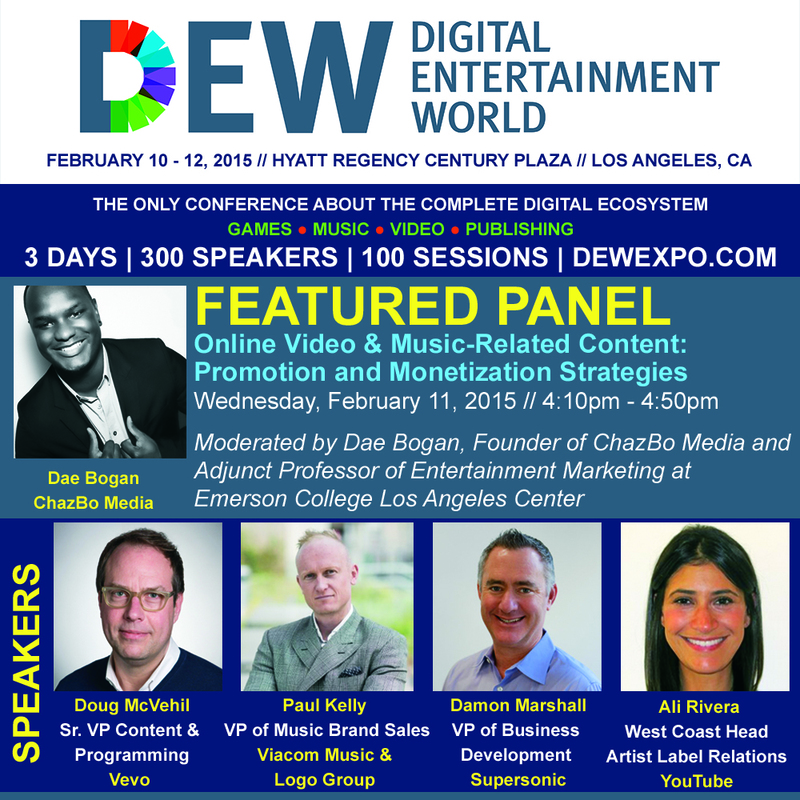 I am excited to announce that I will be joining the likes of Eddy Moretti (Chief Creative Officer of VICE Media Group), Steve Mosko (President of Sony Pictures Television), Ynoz Kreiz (President of Maker Studios), and Thomas Gewecke (Chief Digital Officer and Executive Vice President, Strategy and Business Development of Warner Bros. Entertainment) as the official moderator of the panel “Online Video & Music-Related Content: Promotion and Monetization Strategies” at the Digital Entertainment World conference next month. Every month thousands of indie artists publish new music and videos to the Internet hoping to break through the clutter for the chance to generate exposure that reaches new listeners and gains new fans. Every month thousands of indie artists are reminded how difficult it is to earn the kind of exposure that reaches new listeners without the support and deep pockets of a major label. Detroit-born recording artist, songwriter and record producer, Maejor Ali features Justin Bieber and Juicy J in a new music video for the song “Lolly”. “Lolly”–produced by my cousin Young Yonny–was independently released on February 4th, 2013. After months of development, I’m happy to announce that my music tech startup, ChazBo Music (Beta) and our website is now live! ChazBo Music is a cloud-based music video digital signage solution for businesses and a music video distribution and promotion platform for artists and record labels. A more official press release will go out in the next few hours with more details including our launch partners and first customer. Visit http://www.chazbomusic.com for more information.